Paul's life was diverse and lived with gusto. It reflected his myriad interests in technology, music and the arts, biosciences and artificial intelligence, conservation and in the power of shared experience – in a stadium or a neighborhood – to transform individual lives and whole communities. Paul Allen was the driving force behind keeping the NFL in the Pacific Northwest. His vision led to the construction of CenturyLink Field and the building of a team that played in three Super Bowls, winning the championship in Super Bowl XLVIII. The raising of the "12th Man" flag at the start of every Seahawks home game was Paul's tribute to the extraordinary fan base in the Seattle community. His passion for the game, combined with his quiet determination, led to a model organization on and off the field. He worked tirelessly alongside our medical advisers to identify new ways to make the game safer and protect our players from unnecessary risk. I personally valued Paul's advice on subjects ranging from collective bargaining to bringing technology to our game. 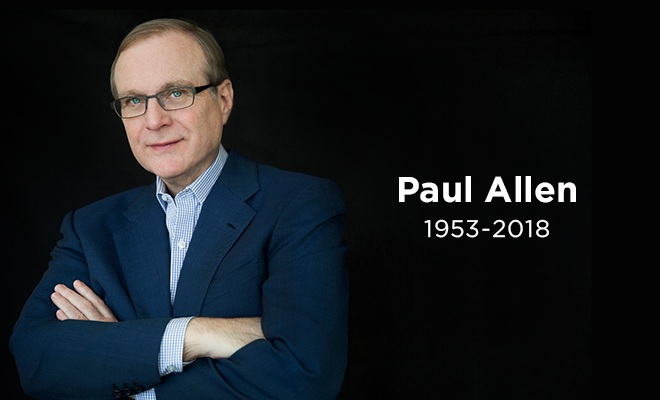 Our league is better for Paul Allen having been a part of it and the entire NFL sends its deepest condolences to Paul's family and to the Seahawks organization.